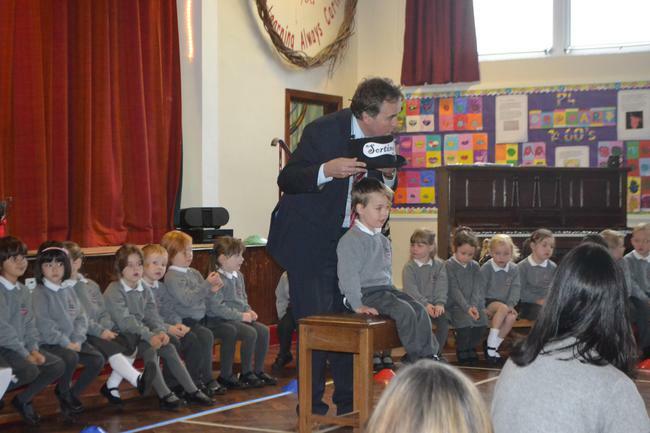 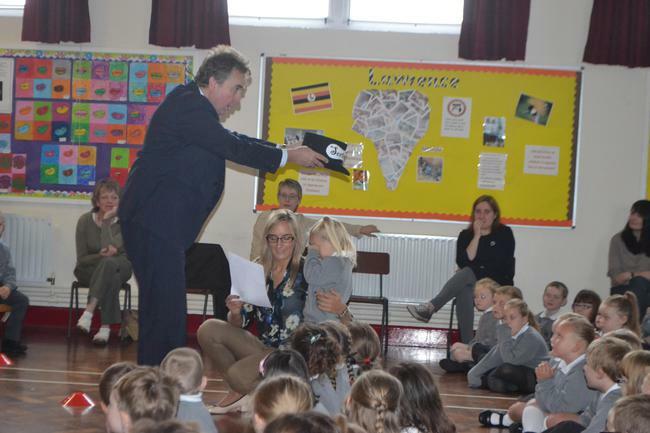 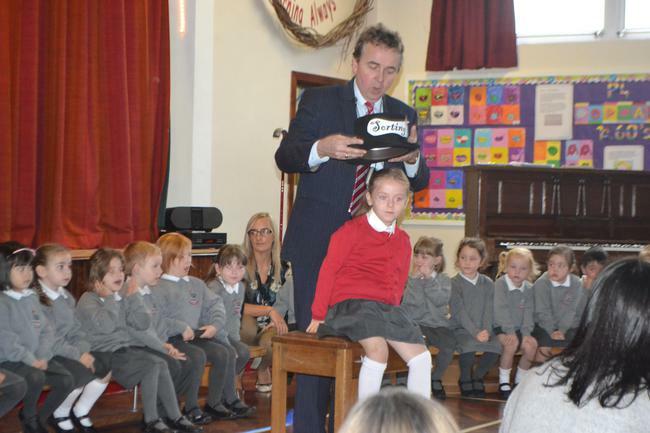 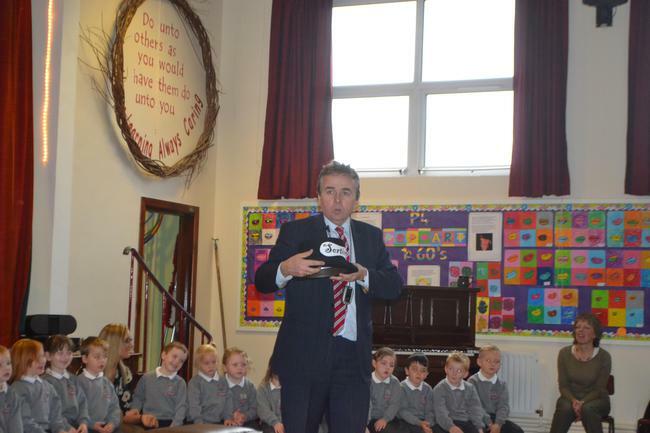 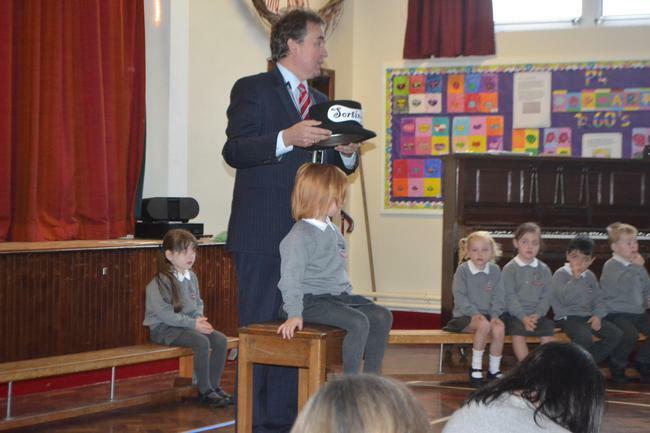 In a scene reminiscent of Harry Potter, Mr Anderson gently woke the 'Sorting Hat' from its sleep to the amazement of the P1 children. 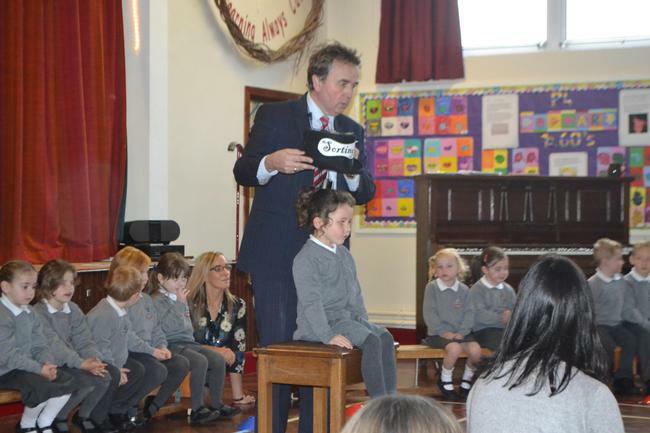 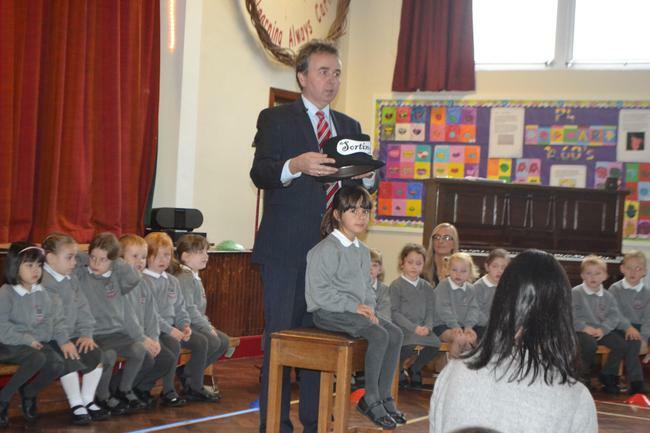 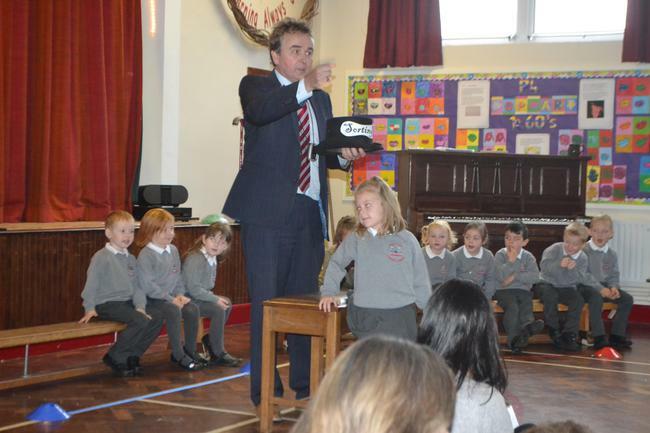 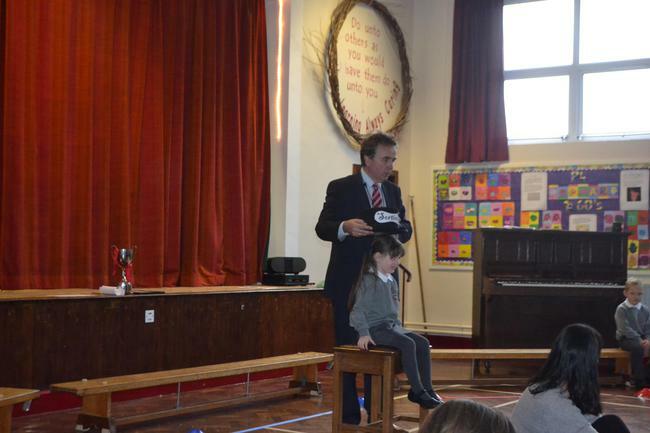 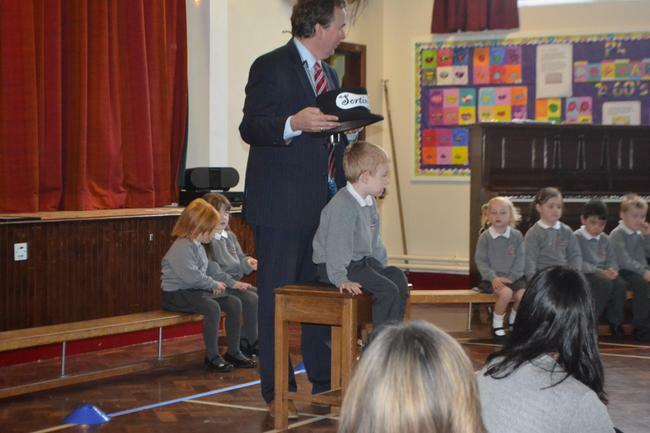 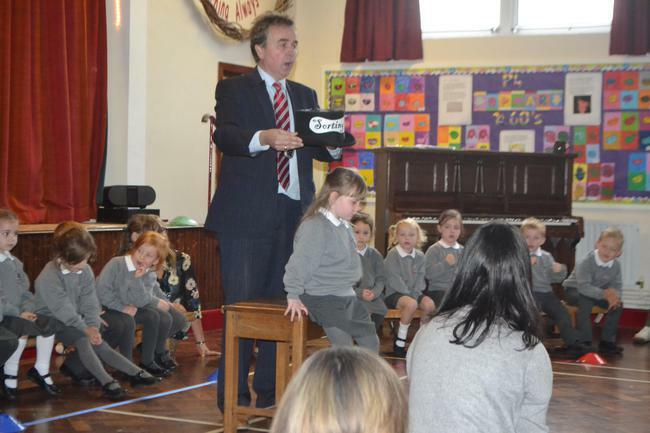 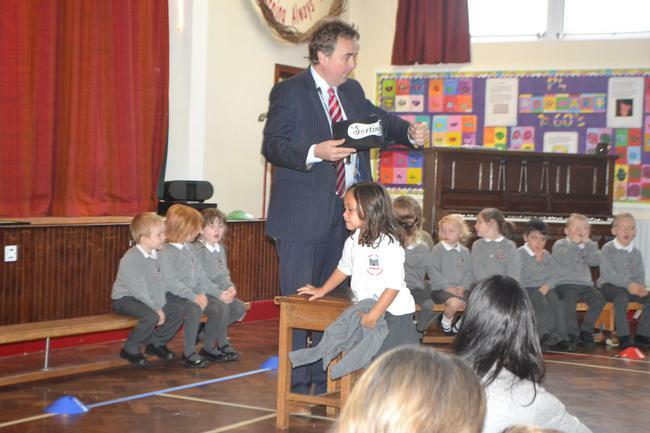 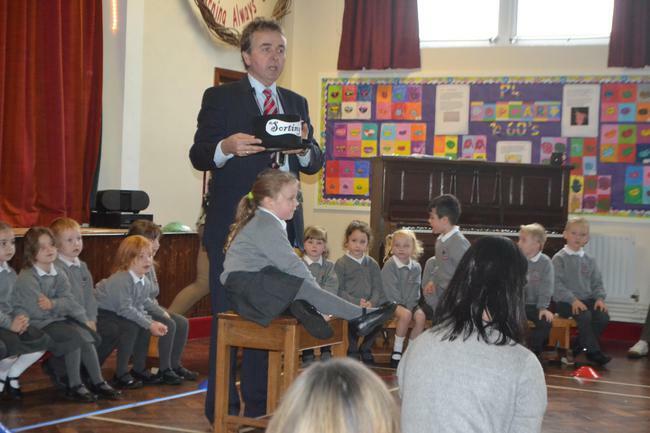 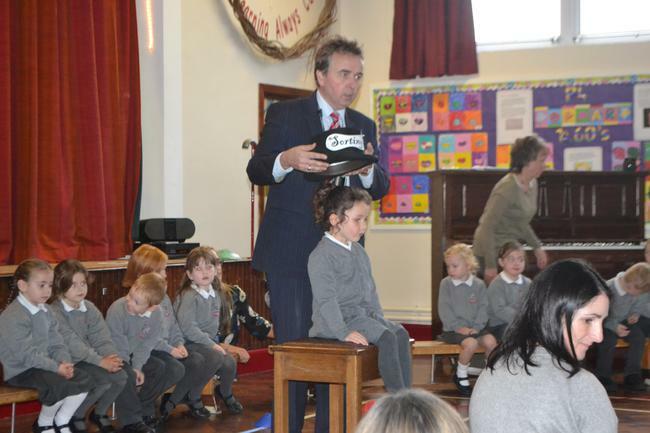 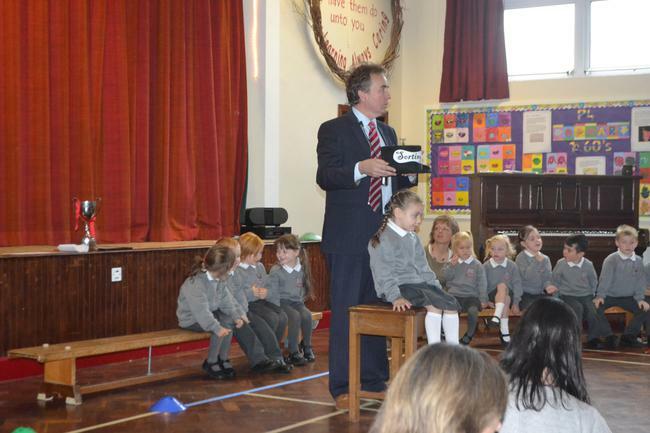 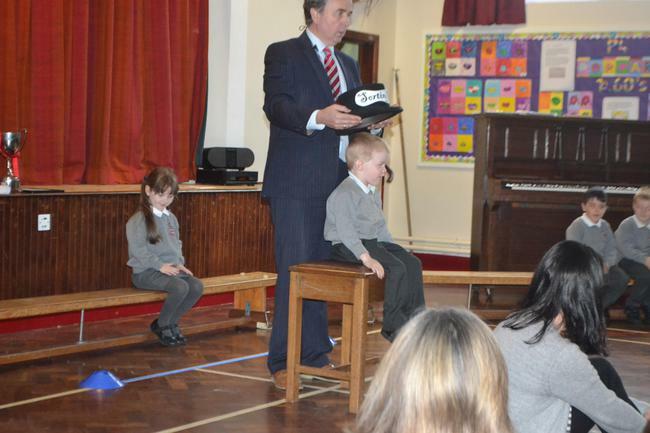 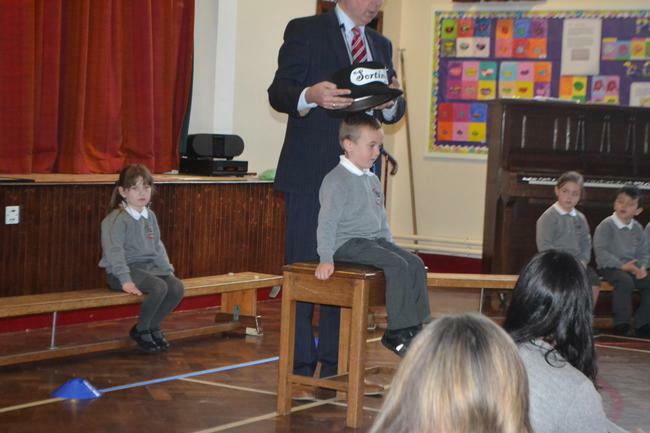 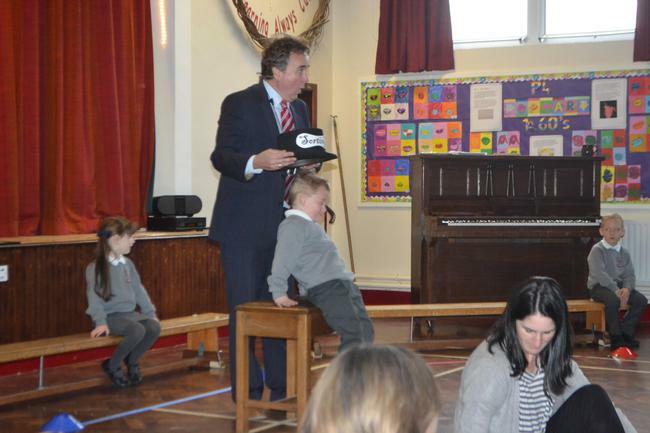 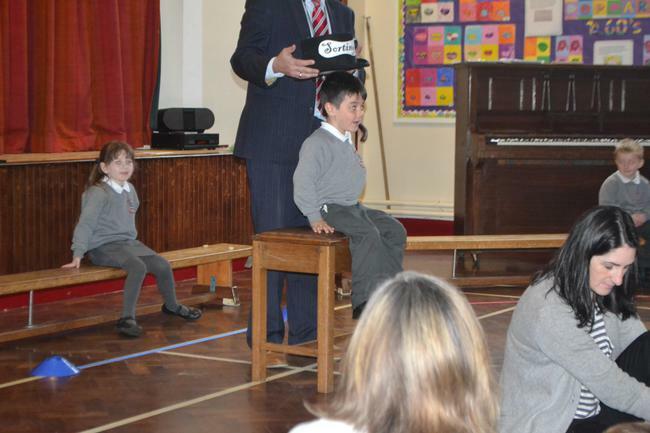 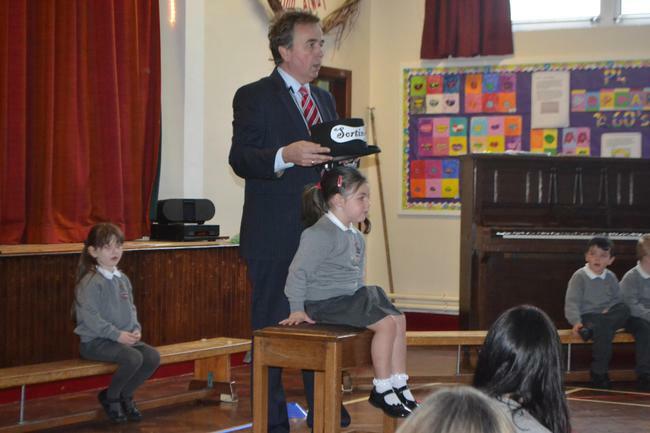 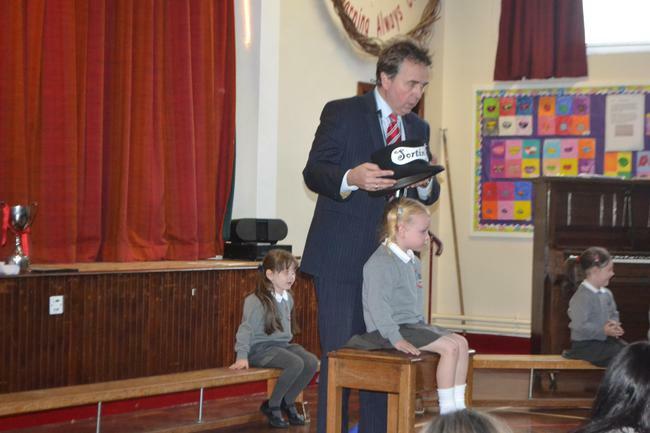 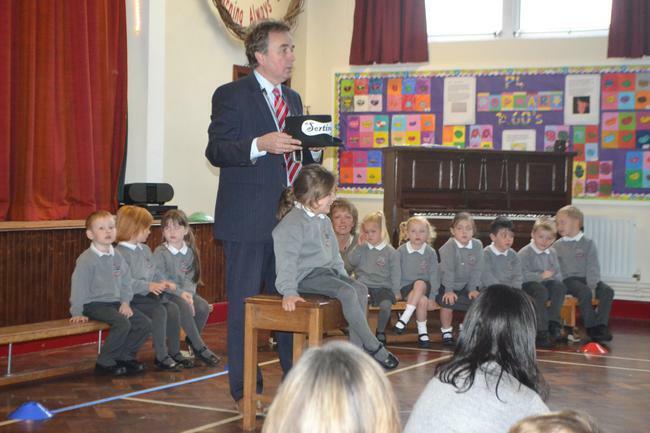 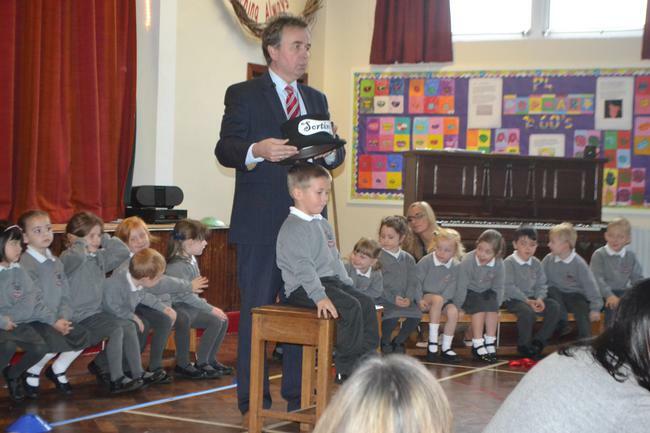 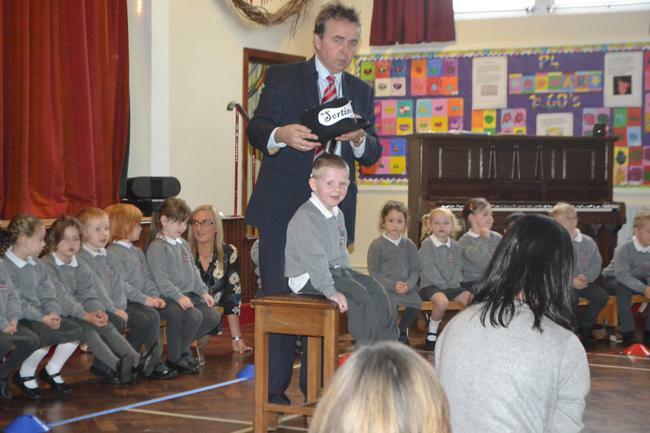 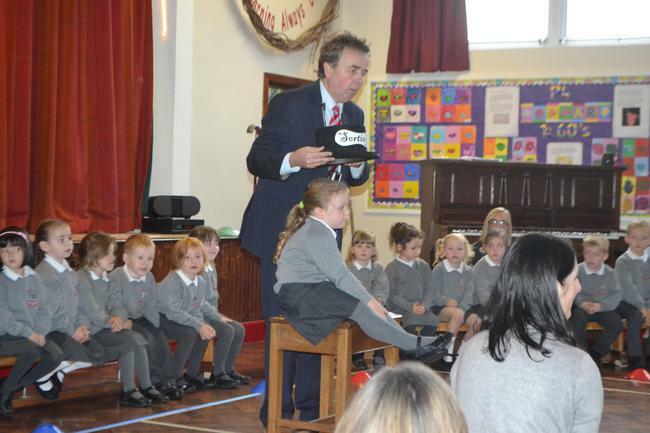 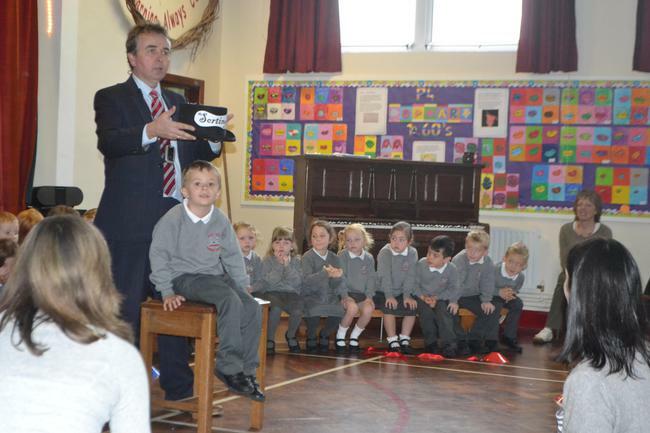 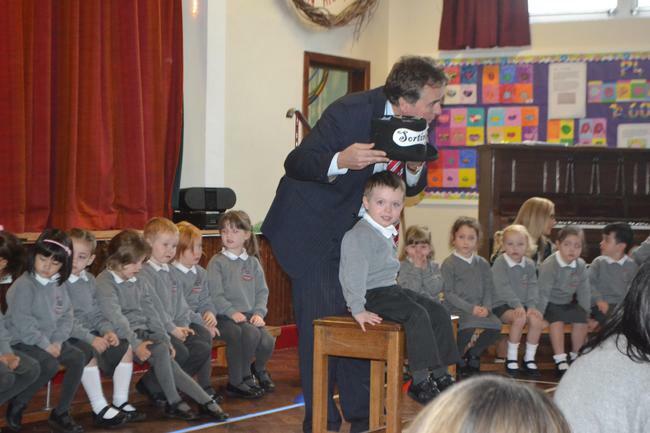 He called each child up to the front of the hall and placed the 'Sorting Hat' over their head. 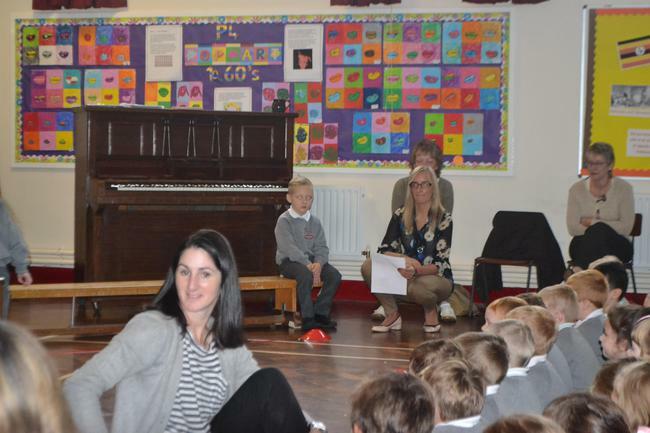 new house with loud cheers. 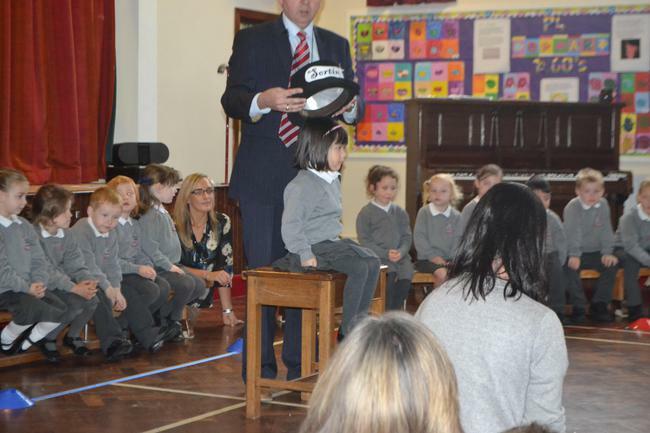 Once all of the pupils were sorted the hat quickly fell back to sleep to wait for next years new intake. 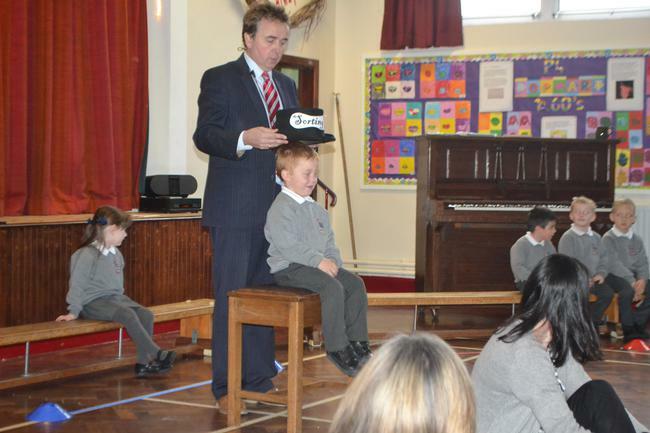 Sorting Hat Assembly - Walsh? 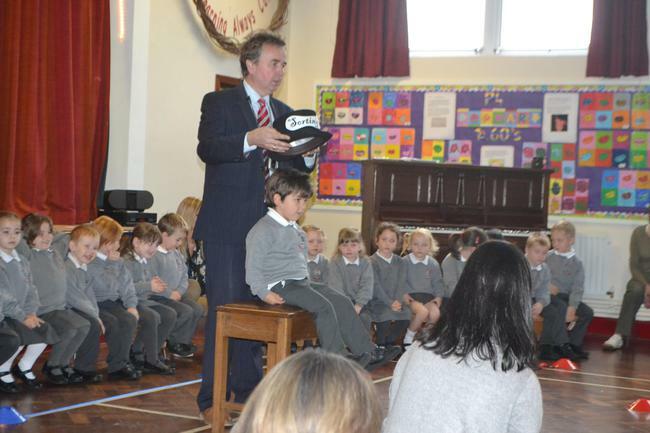 Gibson? 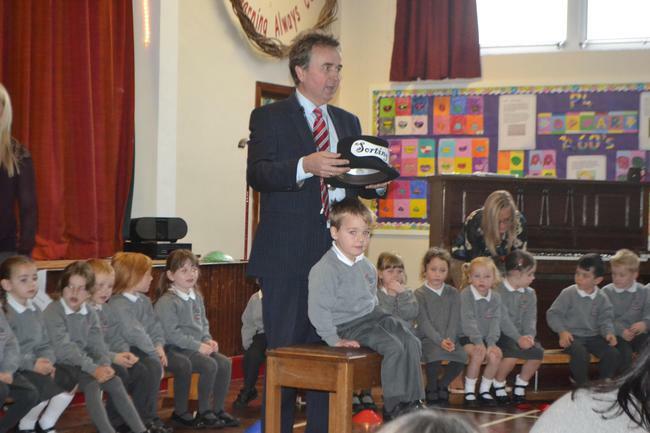 Norris?